Do you have questions about your estate plan, will or trust? Are you concerned by what may happen to your family if you pass away or become incapacitated? Do you feel that your rights are not being adequately represented in the administration of an estate? What is the cost of Estate Planning? We understand that your time and money are important to you. However, we often find that prospective clients are entirely focused on the cost without thinking of results. Remember, the most important aspect of estate planning is to ensure that your family and loved ones are protected and comfortable after you pass away. Disputes related to poor estate planning are greatly more costly than the cost of planning. 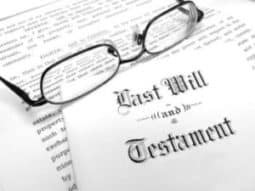 Once we know what you would like to accomplish, we can almost always quote a flat fee for estate planning services. We know that this is an extremely stressful and emotionally difficult time for you. We are committed to helping you and your family throughout the entire administration of the estate of your deceased loved one. We are available to provide you with legal support and counseling, which will lighten your burden as you grieve your loss. Contact us today to schedule a consultation with an estate law attorney. Attorney assisting clients throughout Central Virginia (Richmond, Henrico, Hanover, Goochland, Chesterfield and beyond).